In the HEXUS review of the AMD Ryzen 5 2400G and Ryzen 3 2200G we managed to get an extra 10 per cent or so of computational performance out of these chips without increasing voltages. However, the IGP overclocking results weren’t impressive. Due to AMD using thermal paste, or TIM, for its new Ryzen G APUs, some people were wondering how overclocking performance and/or temperatures could be improved by delidding these processors. 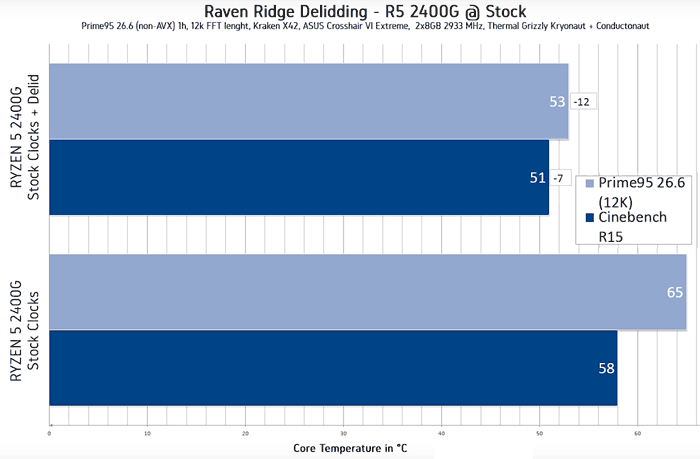 Luckily expert overclocker der8auer has just released a new video on this very topic, entitled Raven Ridge - Ryzen 5 2400G delidding Before/After Temps. In the video introduction der8auer talks about how, historically, it has been hard to predict whether AMD will use TIM or solder on its APUs. Its high end desktop processors always go with solder but, as der8auer found going through his old AMD parts, APUs of varying generations might use either thermal interface solution. 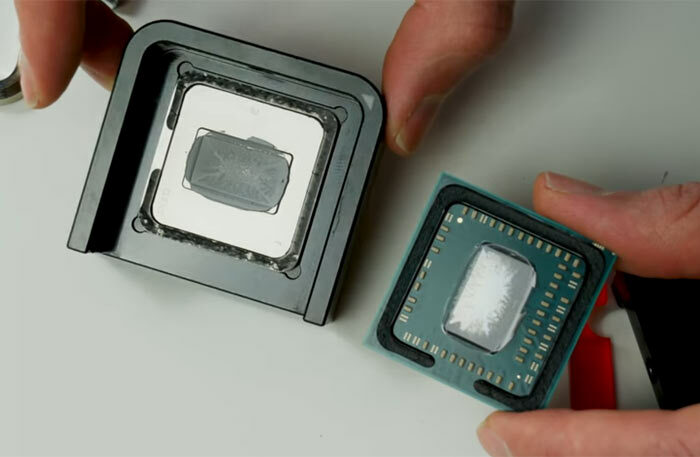 To delid the newest AMD APUs it was found by happy accident that the Ryzen G chips can be laid bare using the existing Delid Die Mate 2 (DDM2), originally designed for Intel IHS removal. 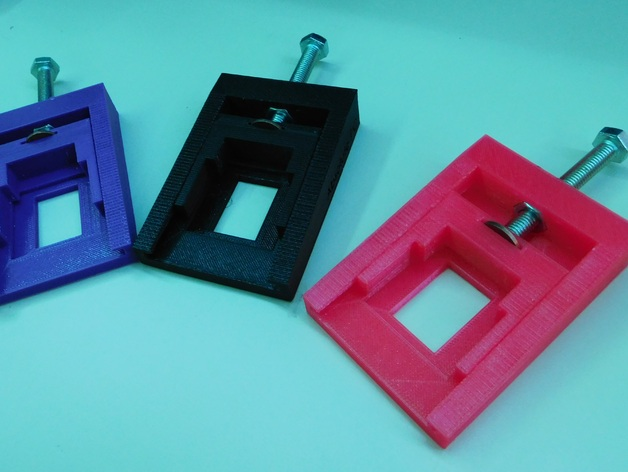 The processor must be inserted in this device upside down and a special acrylic shim be used (can be home-made or costs "two or three euros" along with the appropriate m6 60mm screw). Once delidded, der8auer didn't run the AMD Ryzen 5 2400G with direct die cooling, instead he used his favourite Thermal Grizzly Kryonaut + Conductonaut compounds. In the charts embedded above and below you can see the temperature benefits at stock clocks and when overclocked to 3975MHz. 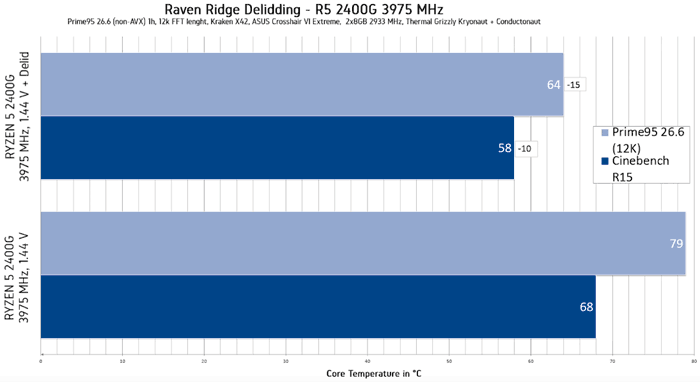 The temperature benefits may be worthwhile, but overclocking at the same voltage was only stable to 4000MHz - a tiny 25MHz faster, not enough for benchmark performance increases of worth. Is it worth delidding your new AMD Ryzen 5 2400G and Ryzen 3 2200G? In his conclusion, considering the above charts, der8auer says that the process can be particularly helpful for HTPC systems, which often rely on smaller air coolers in confined, compact chassis. If you don't want to shred your nerves and void your warranty doing your own delidding, then remember CaseKing sells pre-de-lidded chips for your peace of mind and convenience. 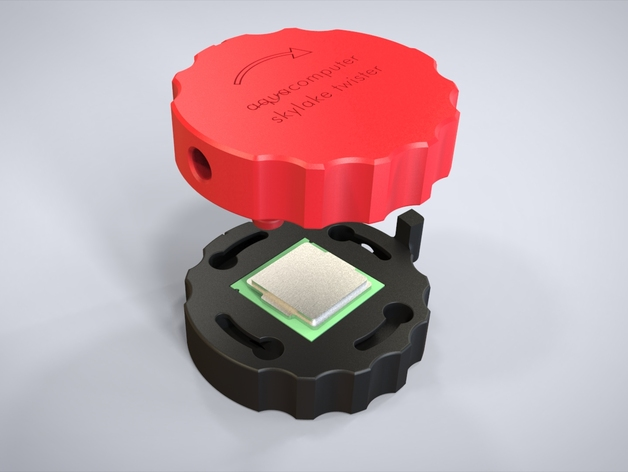 For those with access to a 3D printer, there are a bunch of design on Thingiverse for de-lidding CPUs. Does anyone have a delidding tool they can lend out? I've got a 7700K dying to be delidded! TBH,considering the limited CPU core overclocking of these APUs,I am not sure whether delidding them is worth the hassle.